Barn Finds follower Matt G noticed some auction signs the other day while driving by a farm in Northeast Ohio. 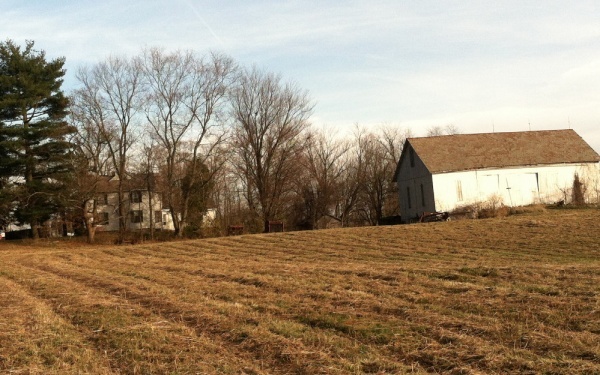 Turns out there are four farms going up for auction at the end of the month. Combined the properties total 430 acres, which is impressive, but the farm that caught our attention was the one with the large barn chock-full of cars. 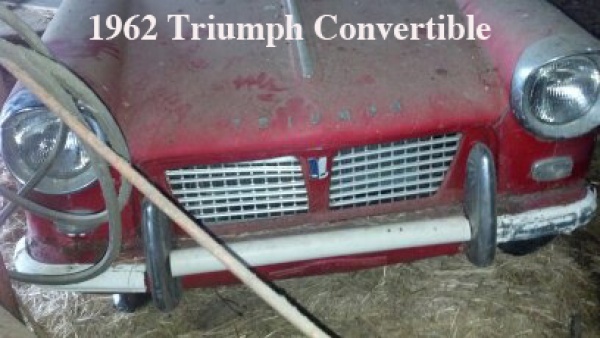 That’s right, this is a real deal barn find and everything must go. Farm A is the one you will want to be at on December 29th. We are assuming that the white barn in the foreground is the one housing the collection. Remember, this is an absolute auction so there are no reserves and everything will be sold. The photos are terrible, but here is a quick summary of what all is hidden in that barn. Cars not shown in the photos include a 1966 Austin-Healey Sprite and a 1966 Triumph Spitfire MKZ. Count ’em. That’s 12 cars parked in the barn. Nothing super high-dollar, but that is appeal of this one. You may actually be able to afford something. The sale will be handled by Kiko Auction in Massillon, Ohio on December 29th. If you are in the area, this is one farm auction you will not want to miss. So which one will you be raising your paddle for? Yikes. The one pic appears the car is buried up to the dog-dish hubcaps in barn muck. These all appear to be hefty projects, but the 4 door vert is certainly appealing, as is the 59 caddy . I sure wish i could go see these in person and get some better pictures, or hopefully better pictures exist prior to their exhumation…. If that 40 Buick is real thats quite a find. By the looks of the tail light I think thats a 49 Plymouth. Seems that 50’s were quite a bit different. twwokc1 is right. 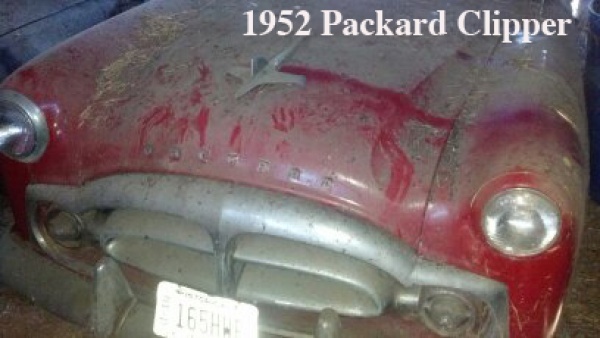 That plymouth is 1949 as the 49 was the only year for that tail light. If the Alfa isn’t eaten away by barn rust and bird droppings, I’d be on it, as in now. 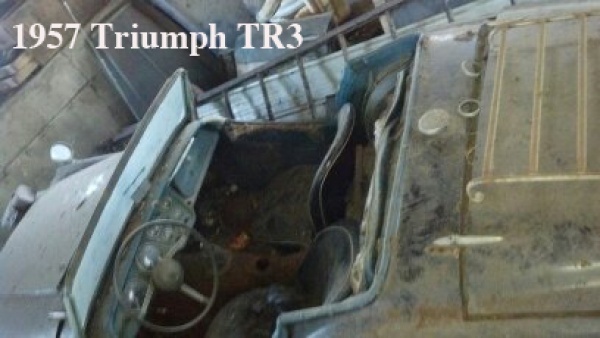 Then the Triumph TR 3 and 4. But, I fear a close inspection will turn up some very unpleasant issues. If that is the original color of the Alfa, that would be very unusual. Sirrus Blue? Or, someone did a color change. Agreed the color on the Alfa isn’t right, but worth a look & if it is good, I would kill for it. Wonder how much they are charging for the dust? Come to think of it all the cars colors seem wrong except for the Stude. same blue. Just couldn’t live with the color. It needed new paint and is now Alfa red (Cardinal red). Steve did you get it from Stephens Alfa? No. It was a private party. I was there on vacation and towed it back to Illinois. It had the wrong seats in it and the motor was from a Giulia Super. Eventually found a Veloce motor for it. Paid $700 for it. Still have it. I owned a dark blue Duetto for 26 years 1600 cc dual weber 40 dcoe’s. 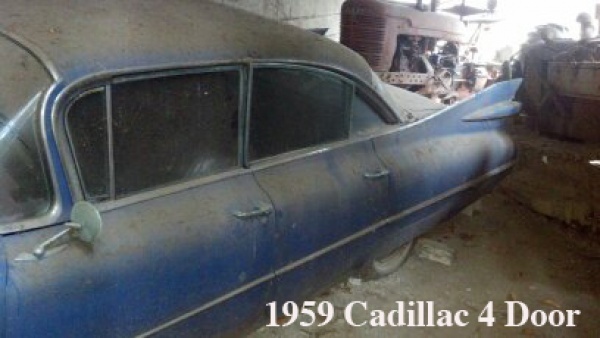 Except for the Buick four door vert and maybe the 59 Caddy, none are really worth big dollar restorations. Buy them, spend the big resto bucks just for your own enjoyment. But as a four door sedan, the Caddy isn’t that rare or desirable, not like a ’59 Caddy convert. 1957 TR3 is my pick. Back in the 70’s my neighbor scored one for his kids for $50. Just needed a new set of points to get it running. Classic low slung doors on a roadster. I clearly remember the smell of leather and oil.All very British. In retrospect it was an awful car for a teen with the protection of the driver one step above a go kart. 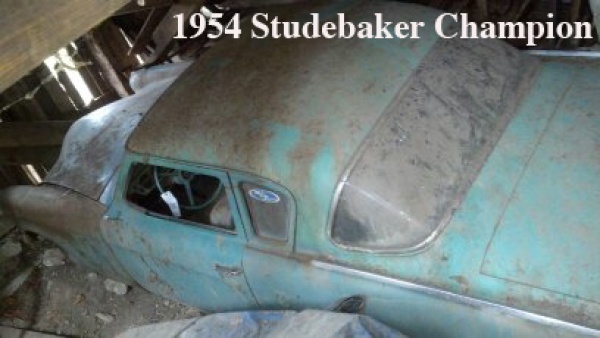 Love the Studebaker and the Alfa. I’m really glad this got featured on here. It was awesome to know that the barn I drive past every day has had these in it for most likely longer than I have been alive. I Hope to make it to the auction, and I plan on getting some better pictures. Glad I got to share this with ya. Hope to see you there! I want both the Triumphs (not the Herald, please). I had one of each in the 70s…paid $75 for the TR3 and $10 for the TR4 (which was a rollover….no windshield actually did a lot for topend as it cracked 100 with ease). But these aged beauties are too much for me to move to California. The early bicycle, on the other hand is another story. I want it. Matt, if you go to the auction would you bid on it for me? I’m serious…drop me a line. 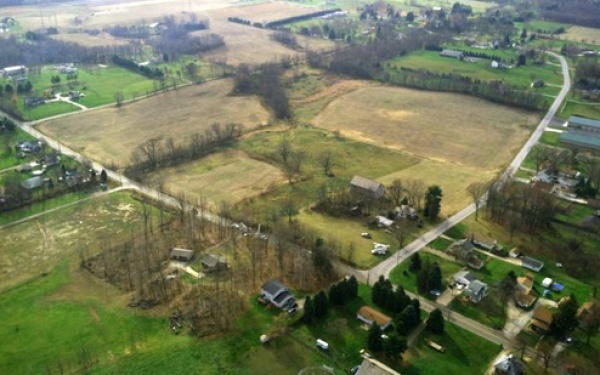 The auction is close to you in Massillion, 12 miles west of Canton. Address is 2428 Pigeon Run Rd Massillon, OH 44647. 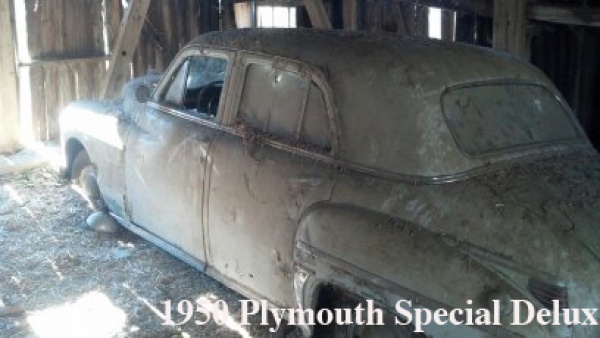 Click on the Kiko Auction link at the end of the Barn Finds listing for details. You should go and report to us guys on what you see. the alfa could be worth a look, that’s what i would go for anyway! 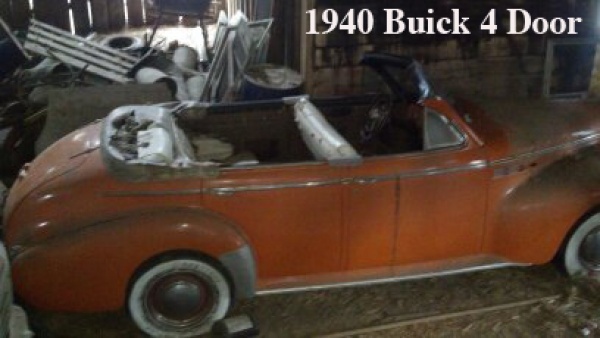 The 4 door 40 Buick Convertable, (if its not a rust bucket) would make a great project. If put back to original. My Dad’s ’41 Sedenet had that great in line 8 with 2 Stromberg 97s and progressive linkage. It would do 80 all day long. Painted black with a black top and four doors all you would need are FOUR GUYS WITH TOMMY GUNS!!! I live only a few miles from that barn-been looking for a barn find closer to home so hope to see some of you there. Had a red ’59 TR3 but never saw a black one. 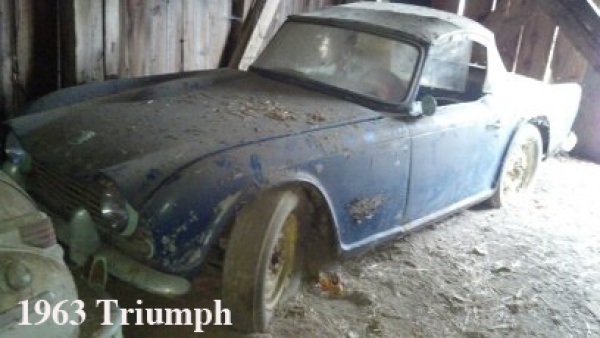 I also had a ’63 Triumph in Triumph, (lite) blue but painted it royal blue mettalic…. Hey! Maybe this is the one. Looks like some light blue under there. Anyway, the colours are pretty much all wrong for original but that could be OK. I could live with a black TR3. The Buick covertible looks like a ’41 or ’42 Special. I can’t see any running boards and the rear doors hinge at the front rather than the rear and the VIN starts with 40. Great barn finds. When you see a mixed group of cars like this, from small Euro sportscars to big US 4-doors, it’s interesting to try to understand the person who bought them and why. Why buy a group of such different cars and then park them in a barn until the dust and debris begin to cover them, and time goes buy and you need to liquidate the whole property? Did he really like cars? Did he really hate cars? Love the lot, want the Stude, how much for cash & shipping to England? 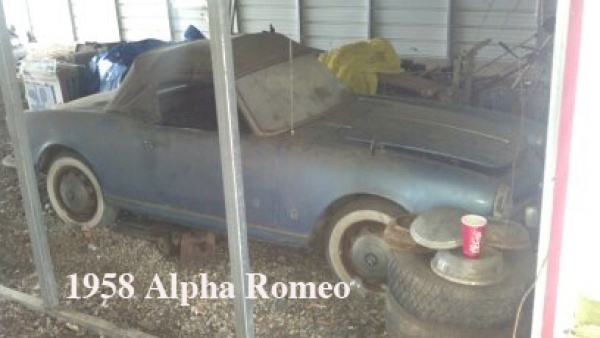 I bought a 1963 Alfa Romeo Giulia Spider at an estate auction in 1974 with money from my newspaper route for $115. I wish I still had that car, but it was a pain to find parts for. I was only 13, my grandfather took me to junkyards all over New England trying to find parts. But I got it running in a hurry, and decided two years later that I needed a Jaguar 3.8 liter MK II. Still didn’t have my license yet…!!! Ah the good old days! I remember them well & I also bought a 63 Giulietta Sprint GT coupe for $250. Simple enough, the owner of the barn likes cars, but due to ADD type issues, isn’t able to motivate him/herself to actually do anything with them besides keeping them. There are many of people like this in every community in the US, and probably the rest of the world as well. 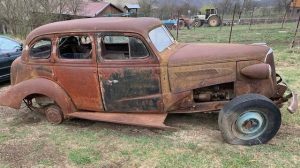 I’ve seen a few collections of old cars, trucks, tractors, hidden away in barns, or left out to rot in the weather, including a couple of convertibles with 30 year old trees growing through the floorboards. 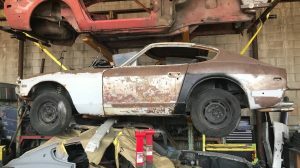 This is something that we enthusiasts and collectors have no control over, and is no different than owners selling their old cars to wrecking yards. Natural attrition. But that’s what makes the ones we’ve saved all the more valuable over time. 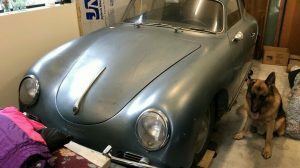 In addition, it’s safe to say that without hoarders who aren’t able to take proper care of their collections, “barn finds” wouldn’t exist at all, and only the wealthy could afford to collect old cars. Well?……………did anyone from here go and buy? Any scooters in there? Ohio has an absurd amount of great scooters in barns. Well I guess no one from here went, or at least didn’t write about it. What a strange time of the year for an auction. The holiday bills are just around the corner and we may be standing in a foot of snow. the bike sold for around $8,800. a gentleman from California bought it. he explained that it was extremely rare and the only other known one was in the smithsonian museum. he also said that the one at the auction was in better shape. Its amazing to think that this guy had this bike, but his family has been in the area since before the civil war. quite possible it has been in the family since new. Hey Matt, did you end up bidding on anything? We would like to do an update on the auction, so please feel free to email us some photos when you get a chance. I did attend the auction, and it seemed to go well. i did not see all the cars sell but i can tell you that the cadillac sold for $750! The Alfa Romeo sold for $9,800! Most of the other cars sold for between $1,000 and $2,000. the convertibles weren’t actually convertibles. he had cut the tops off of hard tops. the cars were a sight to see. he had brush painted all of them and they were in terrible condition. 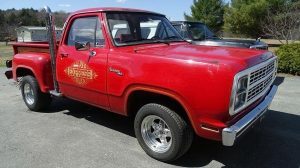 the pictures on the auction website looked much better that the cars were. i will try to send in the pictures i took. (i took a lot). Thanks, Matt G.
I’d love to know what all the cars went for…did anyone attend? Matt. Pretty weird that the bicycle went for almost as much as the Alfa! It was an Elliot Hickory c. 1880 if anyone is interested. 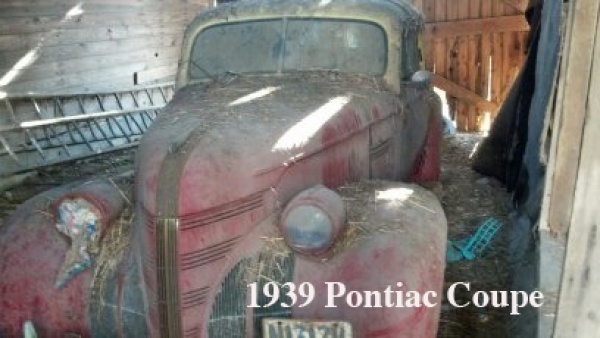 Hey…email those pics of the cars to Barn Finds so we can see them.